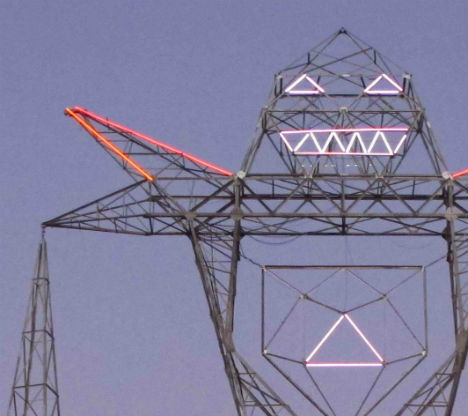 A massive power line tower in Buenos Aires, Argentina now has a glowing face, hands, shoulder spikes and heart thanks to a daring installation by Argentinean art collective DOMA. 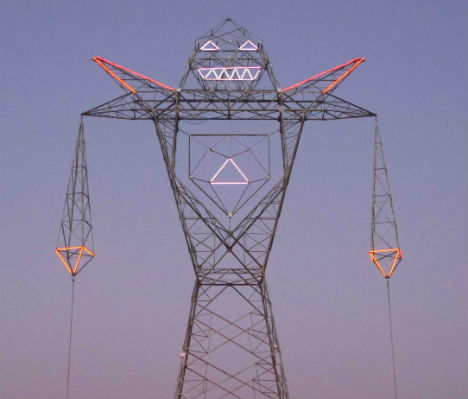 Known as Colossus, this urban intervention is 45 meters (almost 148 feet) tall. 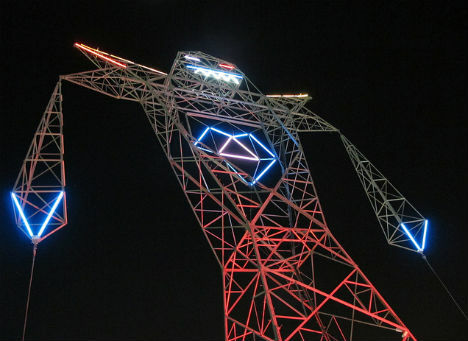 Best of all – the neon is animated. 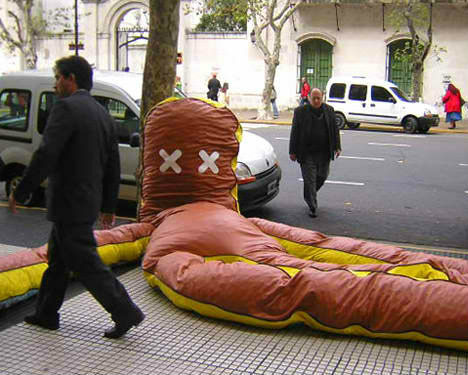 DOMA created Colossus for Tecnopolis 2012, an annual event showcasing Argentina’s science, art and technology. 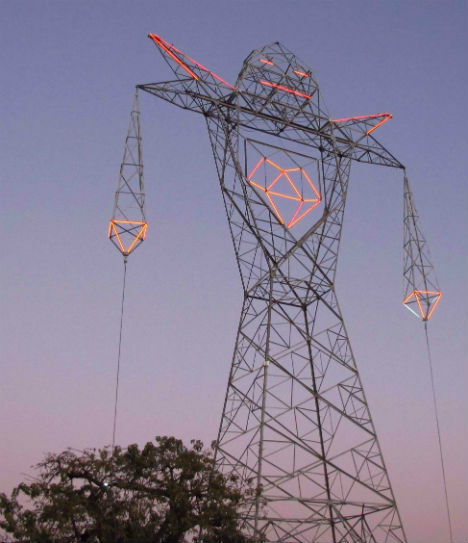 This ‘artistic intervention’ turns a pylon into a luminous robot that stands as a guardian and point of reference in Buenos Aires’ Bicentennial Park. The neon lighting system puts on a show, highlighting the eyes and heart. 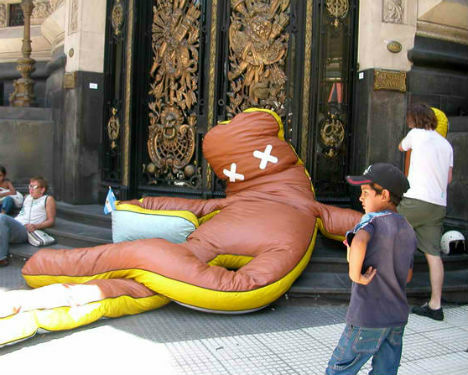 DOMA debuted on the street art scene in 1998 and is known for wacky, attention-grabbing urban installations (like Victima, below) as well as stencils, street projections and strange campaigns verging on performance art. The individual members – Mariano Barbieri, Julian Pablo Manzelli, Matias Vigliano and Orilo Balndini – come from varied backgrounds including illustration, film and graphic design.